Emmanuel Macron, leader of the French independent political movement En Marche, and far-right Front National’s candidate Marine Le Pen have qualified for the second round of the French presidential election, having drawn 23.75% and 21.53% of the votes cast respectively. Right-wing candidate François Fillon (Les Républicains) came third at 19.91% followed by far-left Jean-Luc Mélenchon (La France insoumise) at 19.64%. If the former and left-wing candidate Benoit Hamon have called his partisans to vote for Macron in the second round occurring on 7 May, the latter has not given any voting recommendations. At the opening of Paris stock exchange’s session today, French indice CAC40 has gained 4.12%. Financial stocks have risen by 7% to 8%. The outcome of the first round, which has been unpredictable after a tight race between the four top candidates, is perceived as a relief in the views of asset managers but many stay cautious. For the BlackRock Investment Institute, centrist Emmanuel Macron won a clear victory in the first round of the French presidential election, edging out runner-up Marine Le Pen of the far-right National Front. “We see this as a positive surprise for risk assets in the near term. Business-friendly and pro-European Macron, who has maintained a large winning margin in head-to-head polls with Le Pen, can now build on his momentum. Other candidates on both the left and right said they would vote for Macron while issuing strong statements against the National Front. We see markets pricing in some remaining political risk, given the potential for surprises in the next two weeks. Any significant shift toward Le Pen in the polls could dampen investor sentiment due to her anti-euro stance. BlackRock said it is positive on European stocks and believes reduced political risk will enable investors to focus on the region’s improving growth. Europe stands to benefit from global reflation, and we see attractive valuations in cyclical shares. It also sees French govies’ yield spreads tightening relative to German Bunds. Though, it expects safe-haven bund yields to reverse some of their recent drops and yields overall to climb. Paris-based asset manager La Française said the main stake for the President-elect will be to win a strong majority in French parliamentary elections in June 2017. “Until then, there may be continuing fluctuations in financial markets to which we will continue to be attentive,” said the firm which notes that the spread in the government bond market between 10-year German and French interest rates (Bund/OAT Spread) has tightened anew. “Furthermore, French and peripheral country bonds should continue to gain from reduced political uncertainty. Against this backdrop, we will return to portfolio positioning in line with the improving economic trends seen since the beginning of the year. “At the beginning of the 2nd quarter of 2017, economic indicators are showing positive signs. Corporate earnings releases are in line with or above analyst expectations. Medium-term trends are also promising. Barring an unpredictable event, and assuming the election of Emmanuel Macron, a pro-European candidate, markets should give him a relatively warm reception. “We are now choosing to adopt a more optimistic stance in the short-term insofar as the major fears have evaporated. Our investment strategy is largely guided by economic fundamentals and less marked by political risk in France,” the manager explained. David Zahn, head of European Fixed Income at Franklin Templeton Fixed Income Group, remained cautious about the election’s second round. “On paper, the result of the final round of the French election now looks to be a foregone conclusion; most observers would expect a solid victory for the more establishment Emmanuel Macron over the far-right Marine Le Pen. But if we’ve learned anything from recent political events, it’s to expect the unexpected,” he warned. “Certainly a Macron victory would be seen as the most market-friendly outcome. But there remain a number of unknowns that could affect the outcome, so we would expect markets to remain volatile in the run-up to the final round of voting on 7 May and potentially even beyond,” Zahn added. He highlighted that without parliamentary support, next French president’s options are likely to be very limited. “Neither Le Pen nor Macron has a substantial parliamentary support base. Indeed, Macron has no representatives in parliament and would have to build an entire array of candidates. Of course, he may get some defections from other parties, but we think that the parliamentary elections in June will now become an importance focus. “We’d expect Macron to pick up support from those voters who had previous supported Francois Fillon and Benoît Hamon, but what about those backing Jean-Luc Melenchon, the far-left firebrand who enjoyed a last-minute surge in popularity? So far, it looks like Macron is getting the backing from supporters of all three groups,” Zahn said. According the head of European Fixed Income at Frenklin Templeton Fixed Income Group, Melenchon and Le Pen share a number of political ambitions, including an anti-European Union (EU) bias, loosening fiscal rules, growing the size of the state and increasing taxes. That makes Zahn believe Melenchon’s supporters could choose to vote Le Pen in the second round. “In our view, a Macron victory on 7 May would likely produce a rally in French government bonds in the short term. However, in the longer term, we think his policies would not be as positive, so therefore that could be negative for French government bonds over time. “Macron’s pro-EU tendencies would likely be positive for the euro and that also means peripheral government bonds would probably do well should he win. On the other hand, I don’t think German government bonds would probably do as well. “From a financial market perspective, I would say a Le Pen victory in May is probably the worst scenario,” argued Zahn who said that in the event of a Le Pen victory, French government bonds would likely decline significantly. Bill Street, head of investments for EMEA at State Street Global Advisors, commented: “Le Pen will almost certainly be defeated in two weeks time, and equities can continue to rally going into 2018 as non-existential risks can be absorbed. The global economy might not be booming, but growth is returning. Some of the moderate risk premia in the bond market will also disappear, and this would most likely benefit lower-quality assets the most. “It is the outsider’s election – the French public have sent a clear message to the political establishment: that they are fed up with the lack of choice and progress they offer. “The Republican Party, which only a few months ago was thought to be the only choice for France following President François Hollande’s dismal poll ratings, was beaten into third place with just 19.9% of votes. Meanwhile, the outgoing Hollande’s Socialists finished in fifth place with just 6.3% of votes – potentially spelling the end for the party,” said Azad Zangana who underlines polls suggest a Macron’s 30-point lead against Le Pen in the second round. “The centrist pro-European Macron will not only help stabilise the European Union, but also help build stronger support mechanisms. Compared to Le Pen, who wants to take France out of the euro, he is by far the preferred candidate. The campaigns will now pit the two lead candidates against one another, which we expect will mean a debate not along the usual left-right political debate, but based on inward vs. outward-looking France. “Le Pen will argue that globalisation has failed, and that France should seek to use protectionist policies to fight back against French workers being undercut. Macron will argue that globalisation and the EU have brought both economic and security benefits, and that anti-competitive measures are not the answer. He will instead argue for targeted reforms with help for those left behind. “The contest is not over yet, but investors are likely to take comfort and to begin to think about the more attractive valuations that European equities offer – a market that has struggled to keep up with the global reflation trade due to political uncertainty,” Zangana said. Macron, the French Trudeau? asks Lombard Odier IM strategy chief Ahmed. Could Macron, a centrist political newcomer, be to France what Trudeau is to Canada. That is the question Salman Ahmed, chief investment strategist at Lombard Odier Investment Managers, asks. “Sunday’s result is consistent with recent polls and our base case expectations. Crucially for investors, the presence of centrist candidate Macron in the second and final round significantly increases the probability of a pro-EU French president; based on the polls we assign an 80% to 85% probability of Macron winning, and the backing of François Fillon and Benoît Hamon would further strengthen his case. “As we discussed in detail in our latest Global Perspectives piece (President Le Pen: picturing the tail risk), the spectre of a Le Pen win would represent a very strong negative for French and European assets – one that we believe could well trigger a negative reaction globally given its implications for the future of EU/Eurozone. Sunday’s result should help to assuage concerns that France will get a far-right president, given that current polls suggest Macron will comfortably beat Le Pen in the second round. That said, the possibility of a Macron scandal and/or terrorist attack remain as key “known unknowns”, and polls have proven unreliable in the past,” said Ahmed. According, the risk of a period of “co-habitation” is likely as none of the two candidates would eventually achieve majority in the parliamentary election of June. “We expect Sunday’s result to be positive for the Euro, as is already being reflected in price action. However, we expect the upside to be contained to around 2% to 3% on a trade-weighted index basis as Euro pricing never strongly reflected a Le Pen victory. “However, we expect French sovereign bond spreads vs. bunds to narrow substantially relative to current levels. We also expect substantial upside to European equities as attention turns towards the healthy economic recovery currently taking place in the region (see President Le Pen: picturing the tail risk). Moreover, the significant valuation gap relative to US Equities make European stocks attractive, in our view, especially as the quality of the US economic recovery weakens and realisation grows that the US legislative system is likely to be a major hindrance to Trump’s fiscal bazooka (in terms of size, scope and timing). “Beyond Europe, we maintain our positive view on emerging market assets and we are now more strongly favouring local currency debt and equities relative to hard currency debt. We believe the synchronised trends of recovering economic growth and still-subdued inflation continue to be important support factors for emerging markets,” said Ahmed. Polls indicate a clear advantage to Emmanuel Macron, for the moment. However, with two weeks between the two rounds, much could happen before the second vote. As often, the second round of the French election will be summarised. While the first round is traditionally a membership vote, voters are more likely to choose between the worst candidate and the worst, or closest to, their sensibilities in the second round. The legislative elections (11 and 18 June) will also be another high point, since to govern in France, a parliamentary majority is required. 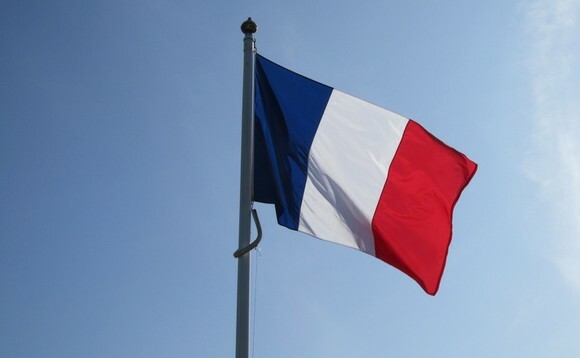 According to DNCA Investments’ fund manager Igor de Maack, relief is the initial sentiment investors have expressed as Le Pen and Melenchon will not face each other in the second round. De Maack said they could reinvest in European stocks, especially French stocks if polls suggesting Macron’s win were to be confirmed. He believes the likely election of Macron drives away systemic risk. “The queen of public spending, a debt burden, incapable of actually reducing unemployment after three years of growth and stuck in a social model dating from the thirties that defies mathematical laws when it comes to the financing of the pay-as-you-go pension plan, France has yet to take advantage of the economic recovery in the euro zone to reform. Nor has it benefited from the extraordinary benefit of artificially low rates maintained by an ECB which violently turned its back on the Teutonic monetary orthodoxy. “With its inestimable assets (culture, small and large businesses, infrastructure, demographics, climate, geographical position), France is given a new chance (the last?) to take the train of the great nations (Developed or emerging), to restore the body (and heart) to the European project and thus avoid a programmed decline after a thousand years of a rich history,” said DNCA’s portfolio manager.